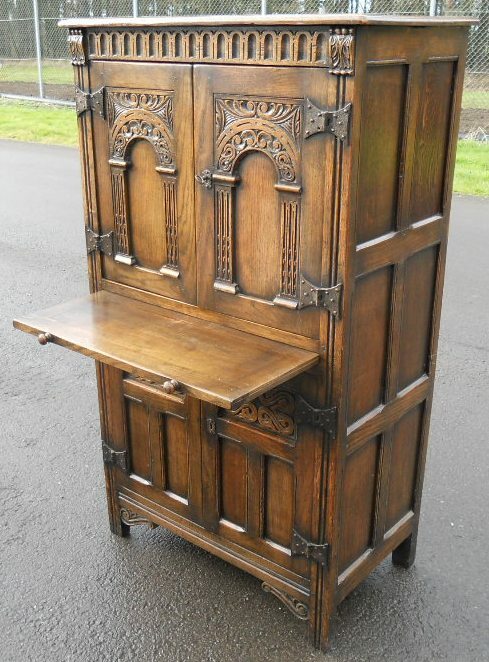 Good heavy quality, antique Tudor style carved oak cabinet with original polish finish. 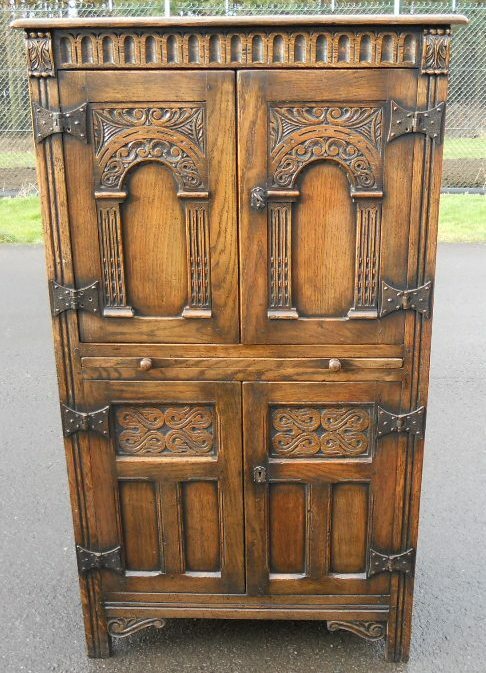 Having upper twin opening cupboard doors with carved decoration, opening to reveal storage space. 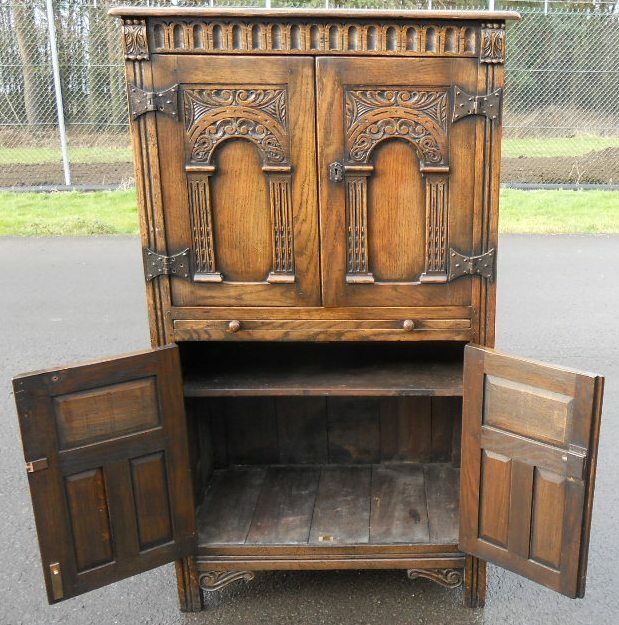 Could be used as a cocktail cabinet if required. 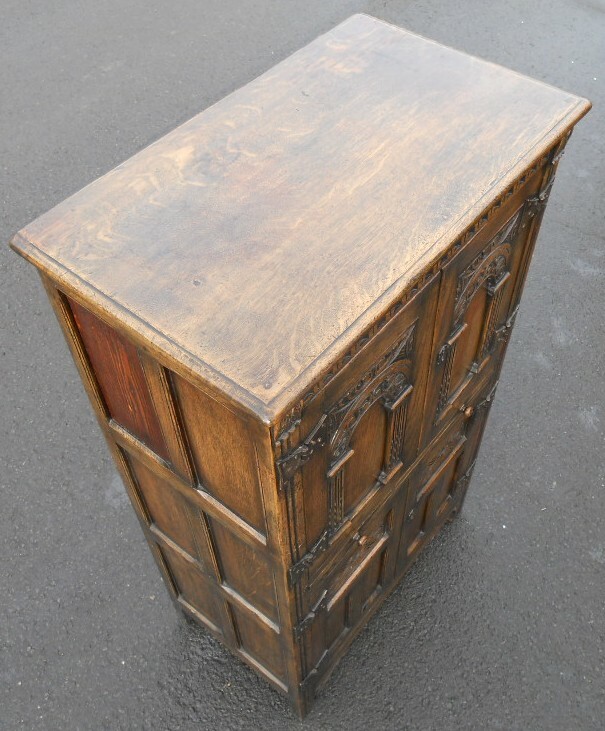 Central pull out slide offering flat surface space. 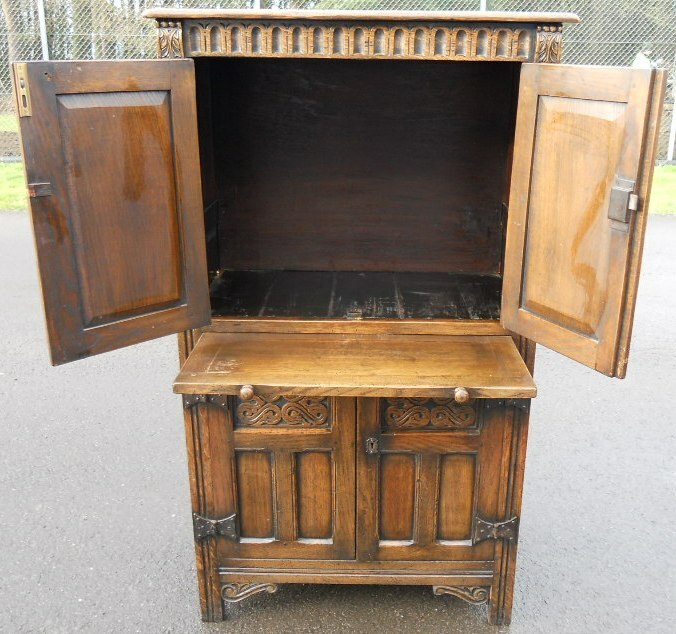 Lower twin opening cupboard doors, also with carved decoration, opening to reveal shelf interior.